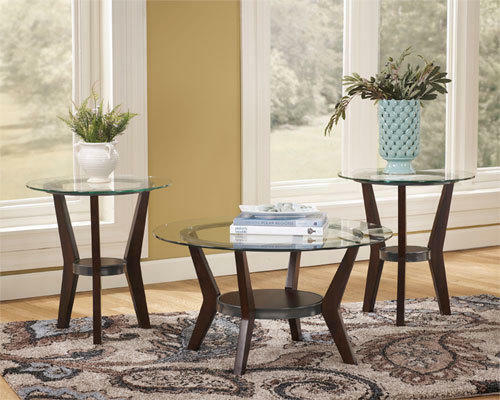 Add a warm, contemporary piece to your home and enhance your décor with the Signature Design "Maysville" Occasional Table Set. 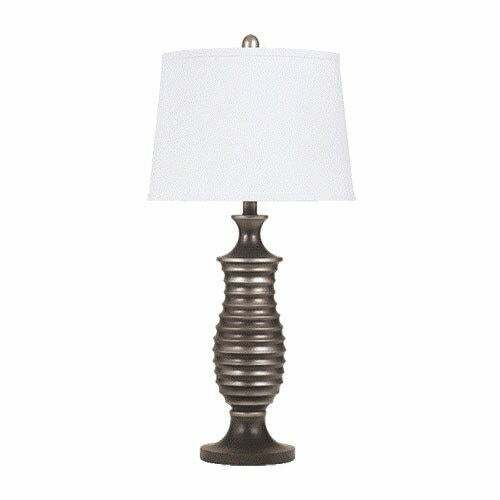 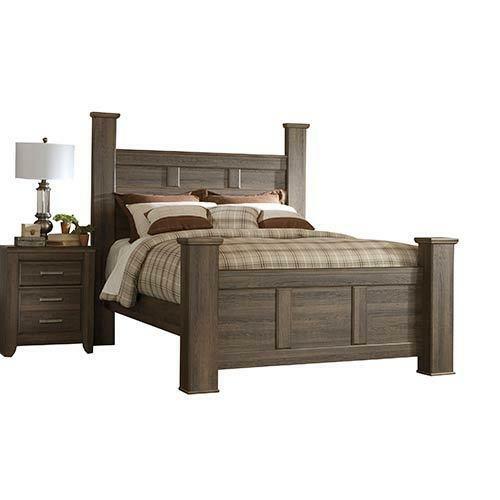 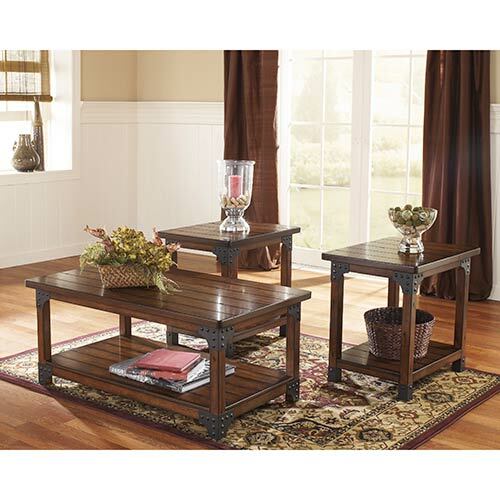 Bring the traditional style of the old world to your home with this coffee and end table set. 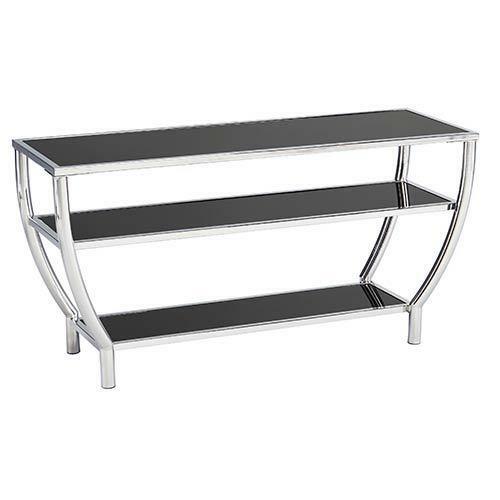 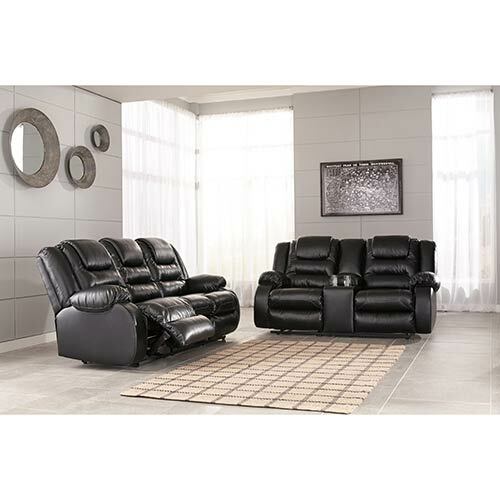 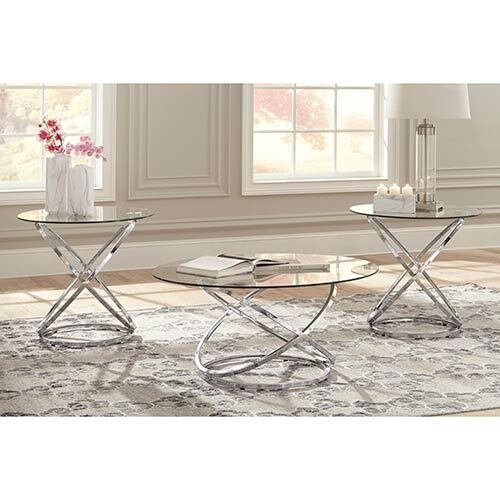 Add contemporary flair to your living room with the sleek design of this 3 piece coffee table set. 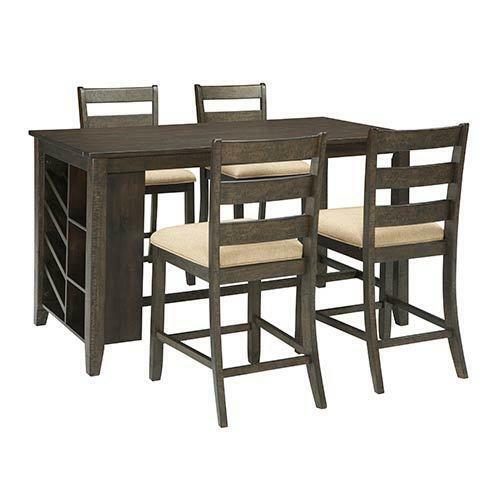 Whether a casual conversation or large party, the Signature Design "Fantell" Occasional Table Set provide the perfect side pieces. 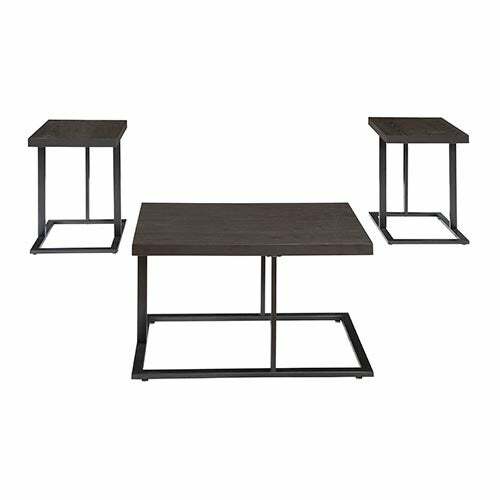 Infuse your space with cool, contemporary style with this geometric coffee and end table set. 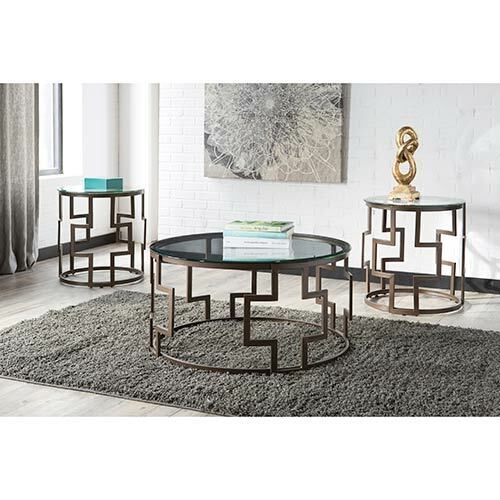 With the Coffee table set by Ashley you'll always have room for chips, dip or even an artisan cheese board, so bring on the friends, and turn up the style with this modern set. 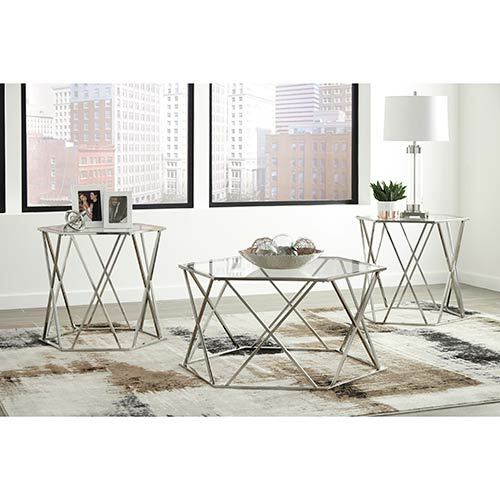 This coffee table set has eye-catching appeal with the graphic, geometric design. 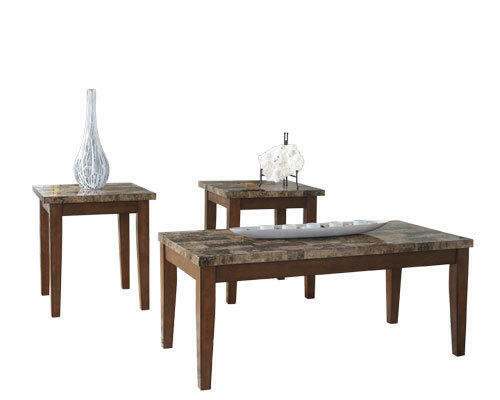 With a modern design, these eye-catching tables are a stylish addition to your living room. 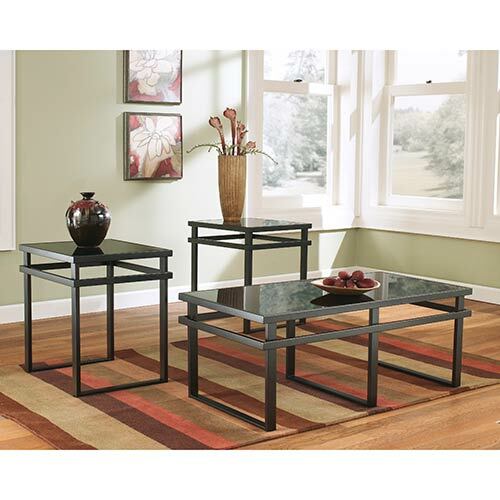 Create a contemporary space with the clean lines and versatile design of this 3 piece coffee table set. 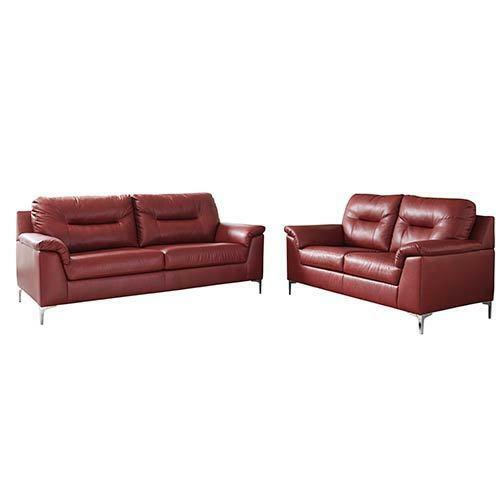 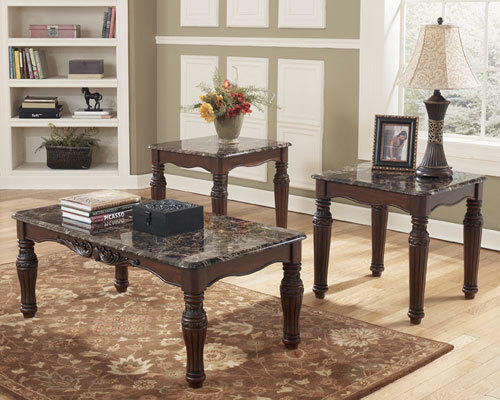 Reinvigorate your living room style with the sophisticated look of this coffee table set from Ashely. 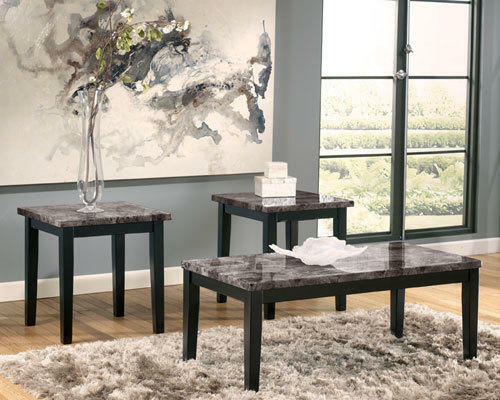 Featuring a simple base and faux marble top, this coffee table set has a style that's set apart from the rest. 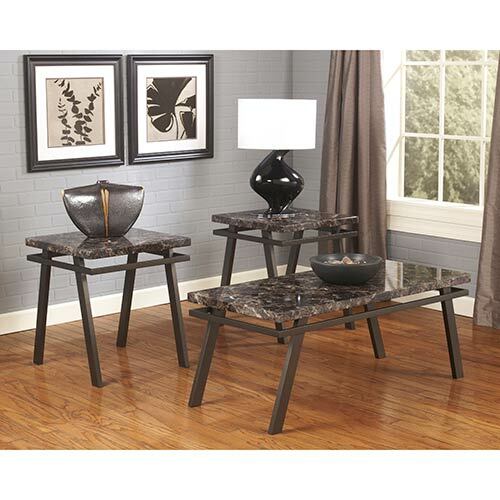 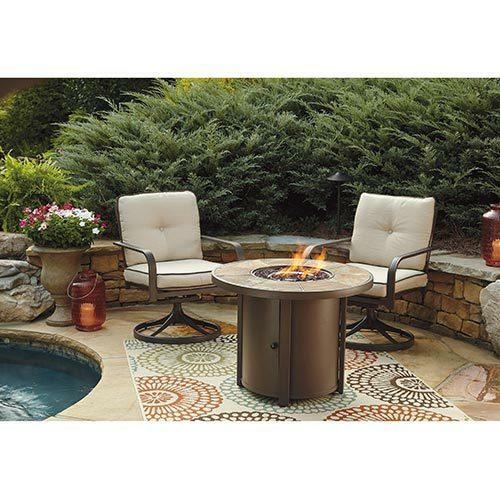 Add distinct style to your living space with this coffee table set that features a modern, yet rustic, design. 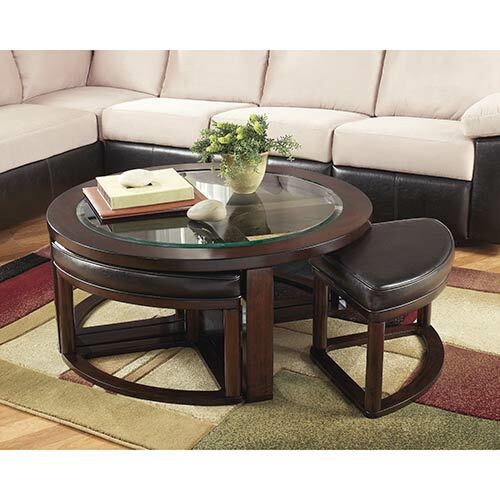 Featuring 4 matching stool ottomans, this coffee table set boasts a multifunctional design.